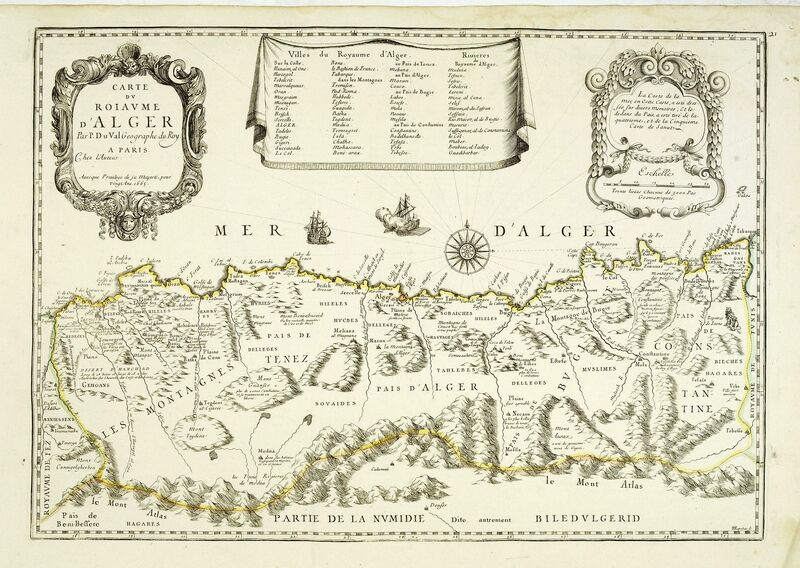 Old map by DU VAL -Carte du Royaume d'Alger . . . Title: Carte du Royaume d'Alger . . . Size: 20.7 x 14.4 inches. Condition: In good condition. Good and dark impression. Some light marginal foxing, slightly affecting upper right hand part of the map. Uncommon map of the Algerian coast, with fine title and scale cartouches in the top.